Written a few days ago, #s of days are a little different now, but you get the idea. It’s been exactly 83 days since I last backed up my computer, which means it’s been exactly 83 days since I boarded a plane and left the USA. I cannot believe how quickly it’s all going by (or the fact that I left my external hard drive back home! crazy and reckless!!) and how short 83 days can feel. Though the first sentence of this post directly contradicts this, I noticed the other day that I’ve reached the point in this trip where I’m no longer counting the days that have passed and have instead begun to count the days that I have remaining: 33 days until I leave Switzerland; 50 until I fly home. It kinda feels like I’ve been walking backwards until now, watching everything pass by, until suddenly turning around to face forward and seeing a cliff 30 meters away (did you catch my use of the metric system there? #international). A cliff, though, implies that leaving this place will be a purely painful experience, and this is not at all the case. Don’t get me wrong; saying goodbye to my little Swiss life will be CRUSHING. But, at the same time, I am really beginning to miss my home. Seeing the flowers in bloom here reminds me of Whitman’s duckling-dotted campus in the spring; watching my host family interact (even hearing Elias and Céleste bicker) makes me miss being with my own family (i.e. annoying Alexis); and, finally the thing which I am missing perhaps most of all, is my beloved Adams Crunchy Peanut Butter… <3 Being here is making me appreciate Europe a whole lot more than I ever have, but it’s also making me appreciate how exceptional my life back home is. 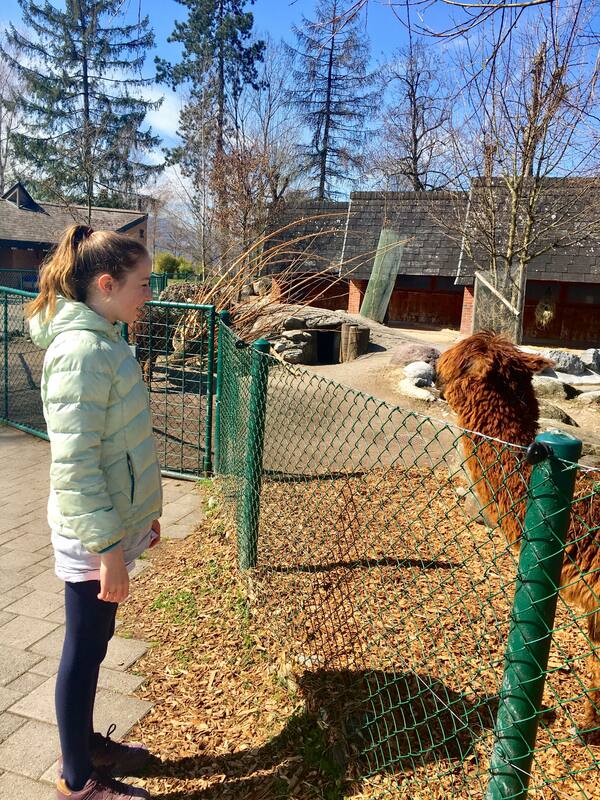 Though we had a long weekend to travel, I decided to stay in Suisse to spend the time with my host family and their extended family. The way that we celebrated was actually very similar to the way I usually celebrate back home. 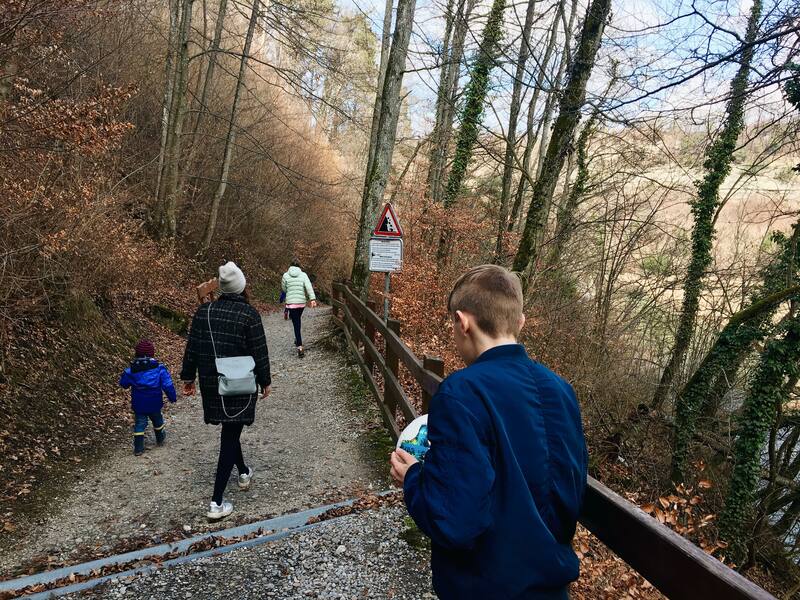 We decorated eggs, sought the chocolates the easter bunny had hidden, ate said-chocolates, had a beautiful family meal, and went on a long walk together. One of the most memorable parts was definitely decorating the eggs. Anne & the fam taught me a whole new method, and it’s SO pretty and SO cool and SO fun. Definitely something I’m going to do again. 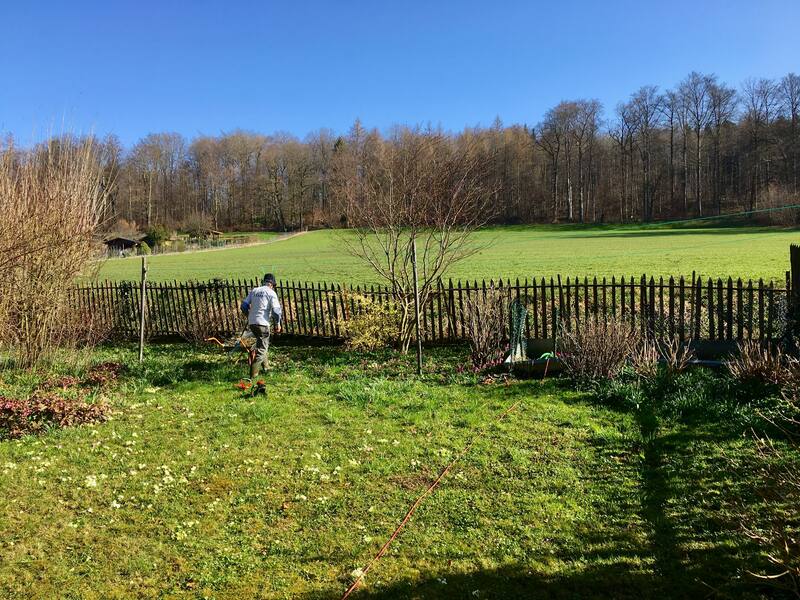 To begin, Céleste and I went into the garden to collect some small flowers, leaves, and clovers while Anne heated up large pots of water and natural dyes (one of the dyes was made using only onion skins!). 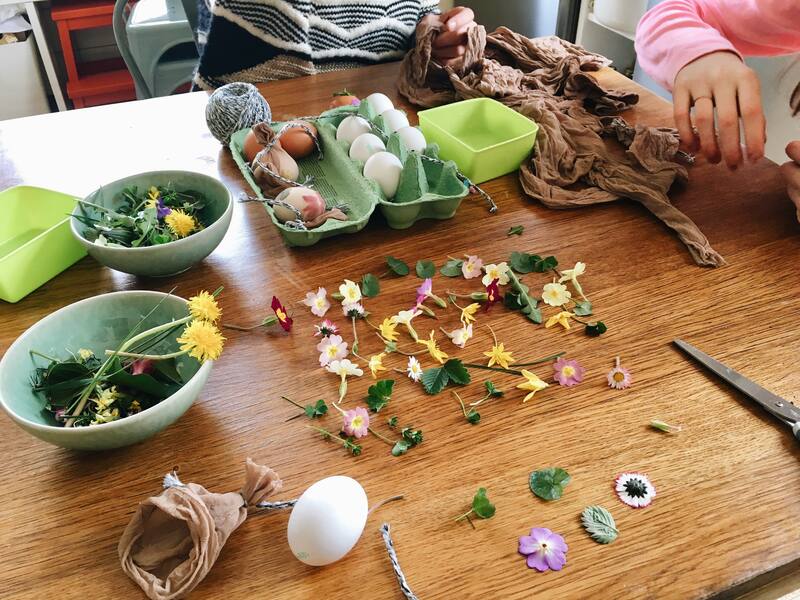 We then spent some time dipping the plants we had gathered in a bit of water and sticking them to the shells of the raw eggs in whatever pretty pattern we wanted. Using cut up stockings and string, we were able to secure the flowers into place. 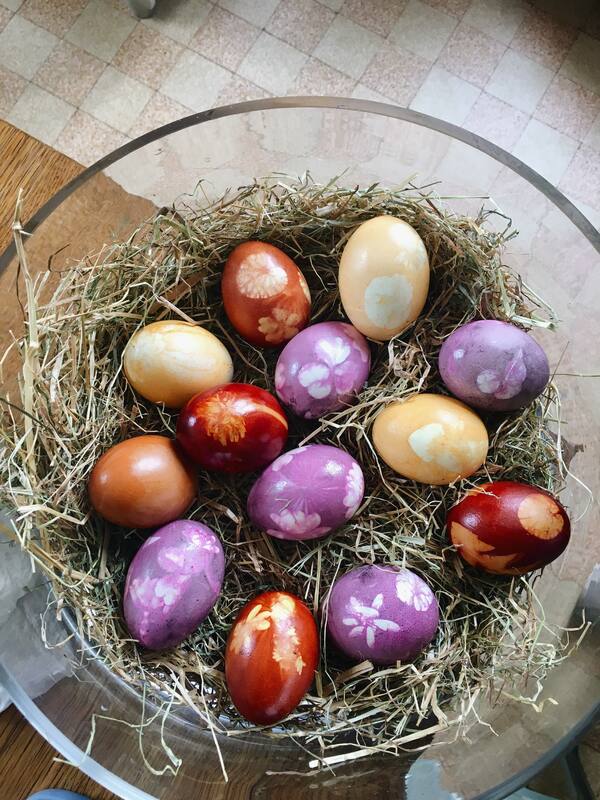 When we were ready, we placed the eggs in the pots of hot, dyed water to boil, cook, and beautify! 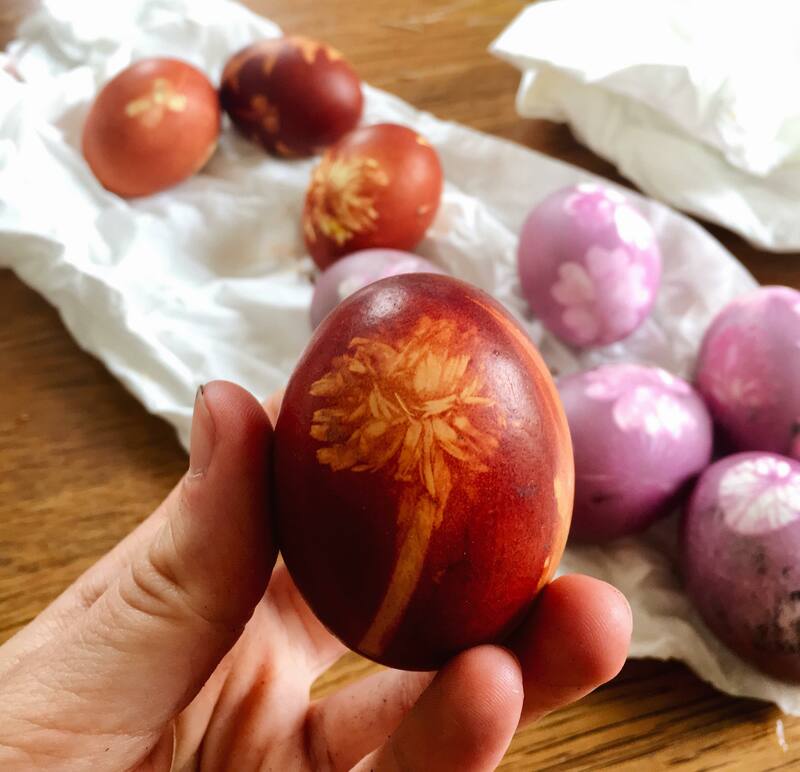 When we removed the eggs from the dye and peeled away the stockings and flowers, each bore a beautiful little flower and leaf design on its shell. It was so sweet. 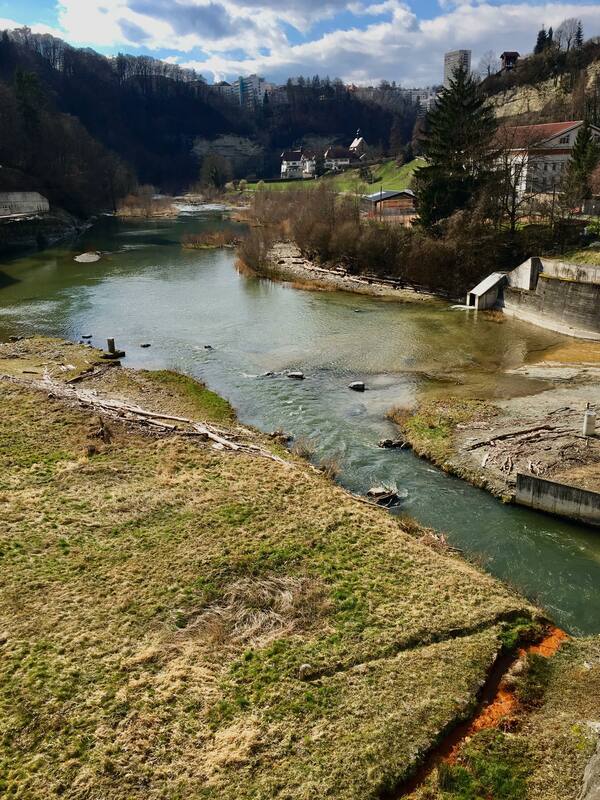 Easter itself was spent at the home of my host grandparents in Fribourg, the city that divides the French- and German-speaking parts of Switzerland. 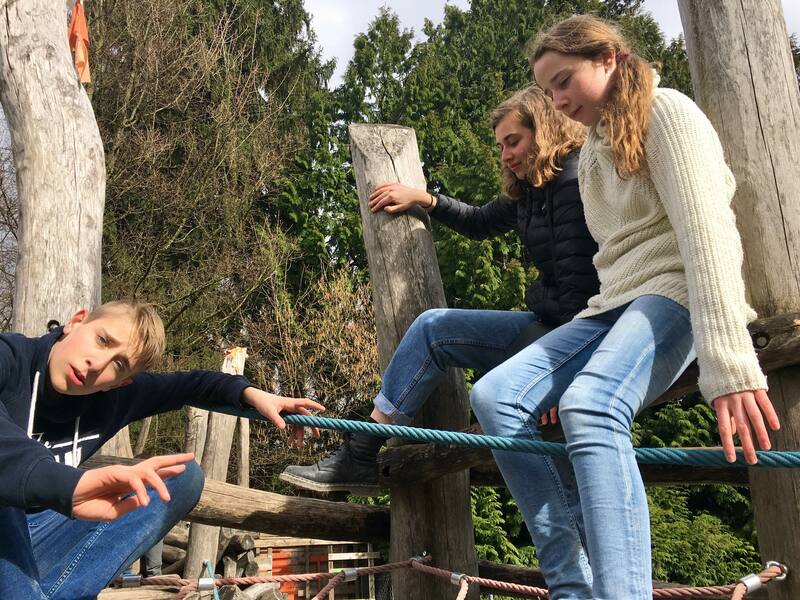 We began the day with an easter egg hunt, which, though similar to those typical to the US, was different in a couple key ways. First, there are no plastic eggs to speak of (only real & chocolate ones). Second, the end goal is actually to find your specific nest (which is basically a huge pile of chocolate labeled with your name and hidden under a bush). After being introduced to this Swiss version of Easter, I realized that I had never really considered just how wasteful the plastic-riddled Easters that I’ve grown accustomed to are. As much as I love cracking open a bright green plastic egg nestled in some hot pink plastic hay to access the goodie inside, working with real eggs & chocolate nests just makes so much more sense. I’ve been converted! TL;DR Easter ROCKED and I am beyond glad I joined a program that involves host families. Following Easter weekend came (you guessed it) the WEEK-week. My peers and I now only attend one class, once a week, and instead fill our time participating in the internship portion of the program. 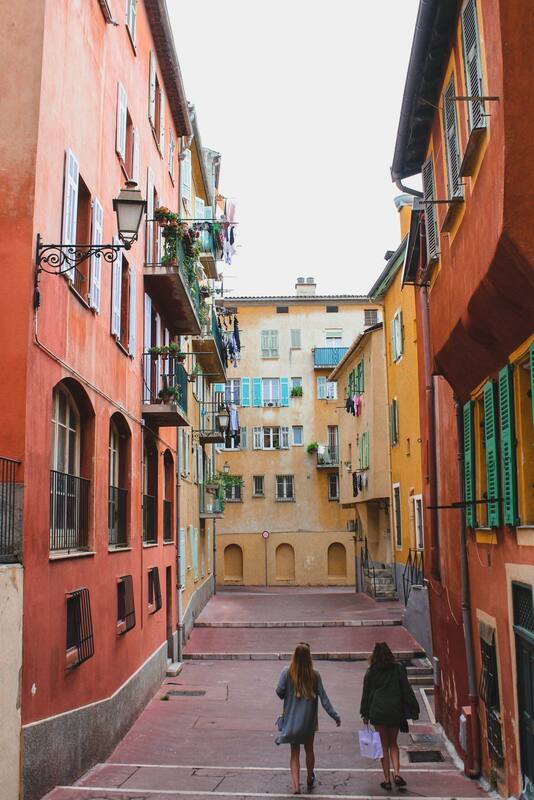 Five of us are interning at Monnaie Léman, a non-profit organization that has created a complementary currency for the Lake Geneva region on Switzerland and France. I won’t go too much into detail about this, but, in essence, they’ve created a new unofficial tender (available in cash and digital form) which can only be used for transactions at local and sustainable businesses. Think visa gift cards for the local economy. The main goal is to promote the sustainable, cooperative, and solidarity-driven growth of the local economy. It’s honestly a really cool organization, and I find the work that they’re doing to be interesting relevant to what we’ve been studying throughout this program. I’ve been trying my best to take full advantage of my time outside of the office, especially now that the sun is beginning to shine more. 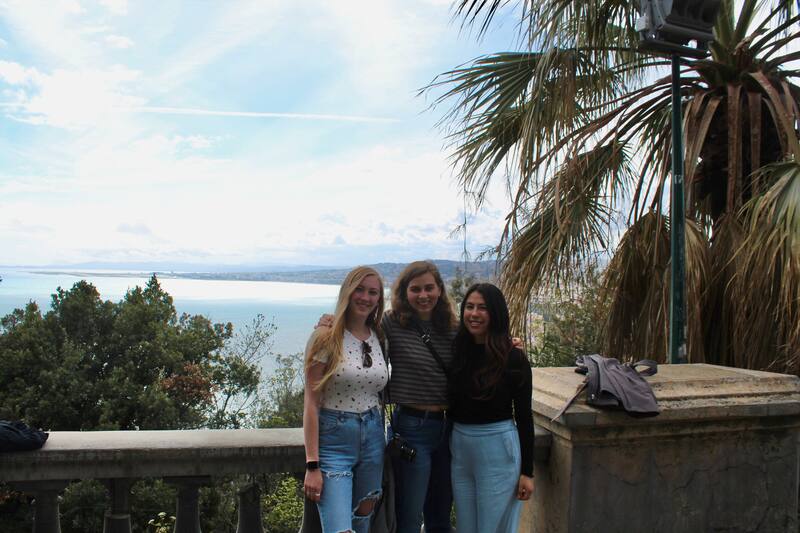 Over the past two weekends, for example, I’ve gotten the chance to travel to two really cool spots: first was to Zürich with my host family, then to Nice, France with two of my good friends from the program, Izzy & Zoë. 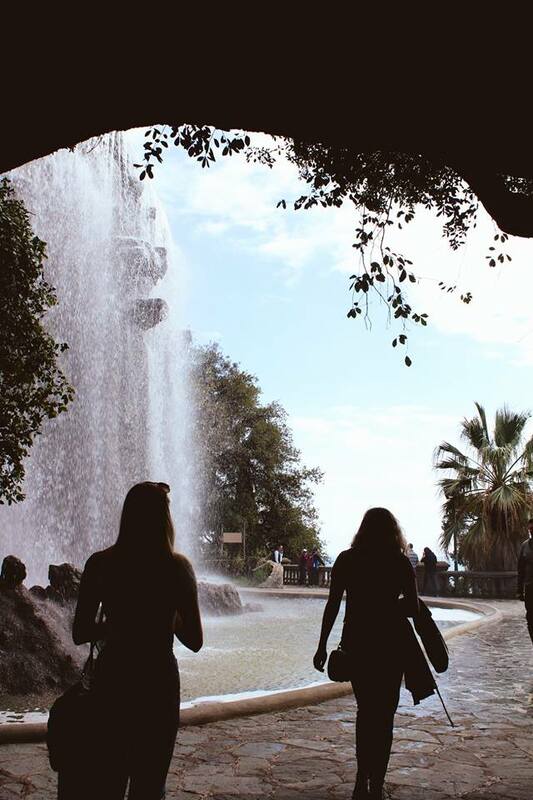 Both trips were unREAL and made me feel so so so lucky to have such cool people here with me. As much as I’m sure you’re all super curious about how I spend every second of my life, this post is already the length of a 6 page double-spaced paper, so I’ll have to leave you only with some vague bulleted lists of the highlights of each city and some STUNNING photos to summarize these little vacays. Swimming in a pool on the roof of a very tall building downtown !!! WHAT !!! 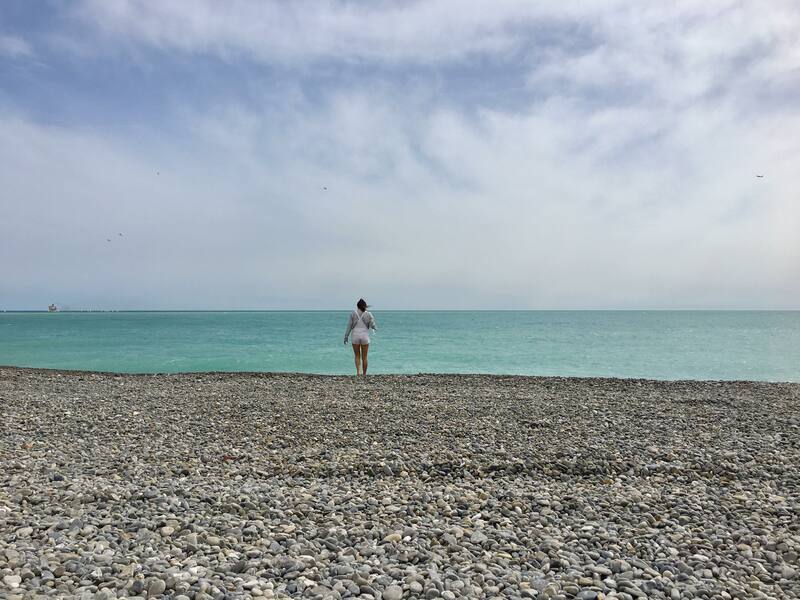 I can’t believe flying to Nice for the weekend is something I was able to do. This just isn’t real life, I think. This entry was posted in Uncategorized on April 16, 2018 by emadifruscia.